Use the document layout field name to add your own custom fields to your quotes and orders. Custom fields let you add things like text boxes, tick boxes, drop-down lists, date pickers, and other fields to any screen in your Current RMS system so you can store additional information. If you like, you can pull through your custom fields to document layouts to create truly bespoke documents. Custom fields can also be pulled through to discussion templates, too. Why pull through custom fields to documents? Do you operate in multiple languages? Create custom fields against your products to store an alternative name or description and pull those through to opportunity documents. Create fields for product website, dimensions, or other data and display this on your opportunity documents. 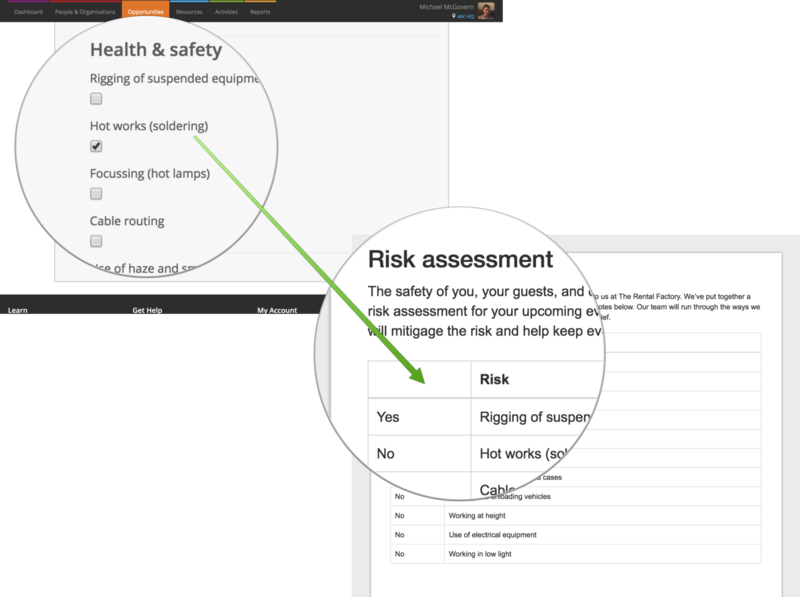 Make tickbox custom fields against an opportunity and pull through the values of those for a handy risk assessment checklist that can be shown on opportunity documents. Create a drop-down box for payment terms against your organizations and have this pull through to your invoice documents. Create a PAT certificate by logging test information in fields against your stock levels. If you’ve not already, create your custom fields in System Setup > Custom Fields. To add custom fields to documents layouts, use the Document Layout Field Name in System Setup > Custom Fields. This is generally the name of the custom field with underscores replacing spaces. For example, “Test Date” becomes test_date . Custom fields with the type multi list of values (i.e. a list of tick boxes) store data as a string containing all of the list items.